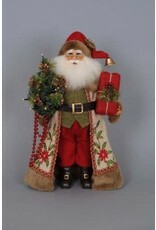 Lighted Woodland Embroidery Santa is great for any shelf or mantle. 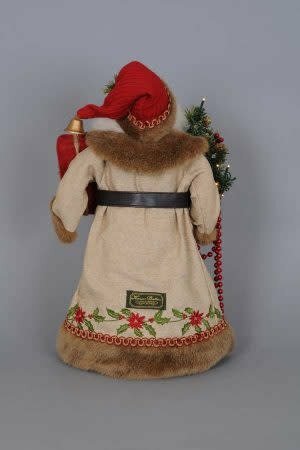 The quality is unmatched with this decorative piece’s hand-painted face, glass inset eyes, mohair beard, unique fabric, and detailed accessories. 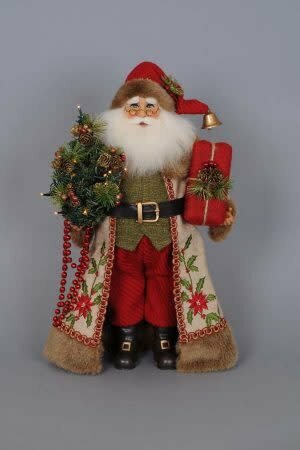 With his beautifully lit tree and unique, rustic design, this Christmas piece is sure to add character and style to any home or cabin.